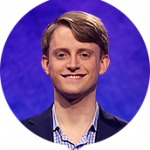 Jacob Farrell, a strategy consultant from Washington, D.C. If you haven’t seen it yet, you should check out our state-by-state map of where Season 33’s players have hailed from (best viewed on desktop or tablet). Have you had the chance to see our 2017 Tournament of Champions Tracker? It now contains a graphic of the day-by-day changes in the qualification chances of the players on the bubble! 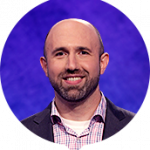 Looking to find out who won Jeopardy! tonight? 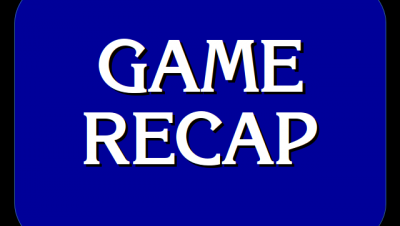 Today’s Jeopardy! results and will go up on this page late afternoon, with full stats early to late evening. They will be seen in the comments section at the bottom of this page. “In the great green room there was a telephone and a red balloon and a picture of the cow jumping over the moon.” Margaret Wise Brown was the author of the 1947 classic children’s literature work “Goodnight, Moon”. Amy Gary wrote the 2016 biography titled “In the Great Green Room: The Brilliant and Bold Life of Margaret Wise Brown”. Have you had a chance to listen to our new podcast game show, “Complete The List”, yet? Check it out! (Also available on iTunes). Remember, you can also now get the following products (and others!) from our new store! Here are our top sellers; all prices are in US dollars! Become a Supporter now! Make a donation to the site on Patreon! 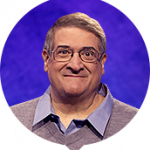 7 Comments on "Today’s Final Jeopardy – July 4, 2017"
An average of 1.4913 5+-time champions (standard deviation 0.94548). An average of 2.4519 4+-time champions (standard deviation 1.1323). An early cutoff took place 1.871% of the time (or a 5-game winner will be left out). 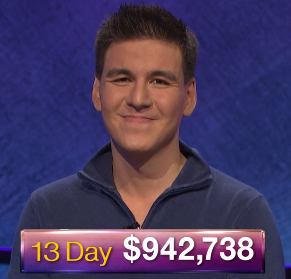 Jon Eisenman qualified 36.668% of the time. Tim Kutz qualified 75.020% of the time. Todd Giese qualified 28.744% of the time. Rob Liguori qualified 4.601% of the time. If Robert’s mentioned as a “writer”, you would suppose he would get a wheelhouse category like Classic Children’s Literature. If this becomes a 2:1 (Right/Wrong) ratio, that would shock me. I’ll take the under for a 2R/1W bet. When Jon answered the 60’s Pop question regarding the Iron Butterfy song, it sure sounded to me like he said “in a Gadda da Vina”, instead of da Vida. Am I just losing my hearing????!!! If one is able to definitively tell the difference between “vina” and “vida”, I don’t think one’s hearing is an issue. That said: the judging panel has a direct audio link to each contestant’s microphone and they review every response. If they felt the contestant said “Vina” and not “Vida”, they would have gone back and made a score correction. I heard the same thing you did. He definitely said “vina”. I was waiting for them to make a correction. I personally hold a much different opinion. I saw nothing wrong the first time, and definitely heard “vida” the second time I watched, specifically to figure out what he said.